Our specialists. 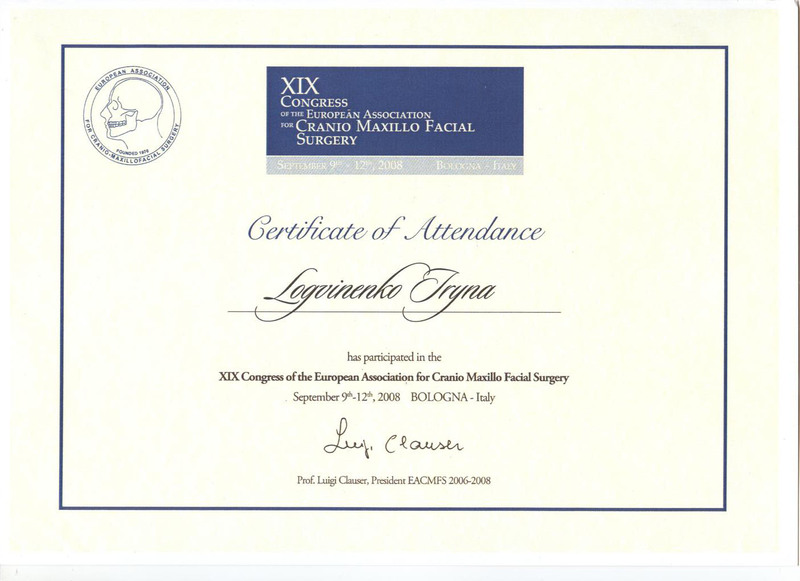 Cosmetology clinic "MED-BEAUTY"
Specializes on techniques of injectable rejuvenation and contouring of the maxillofacial region. 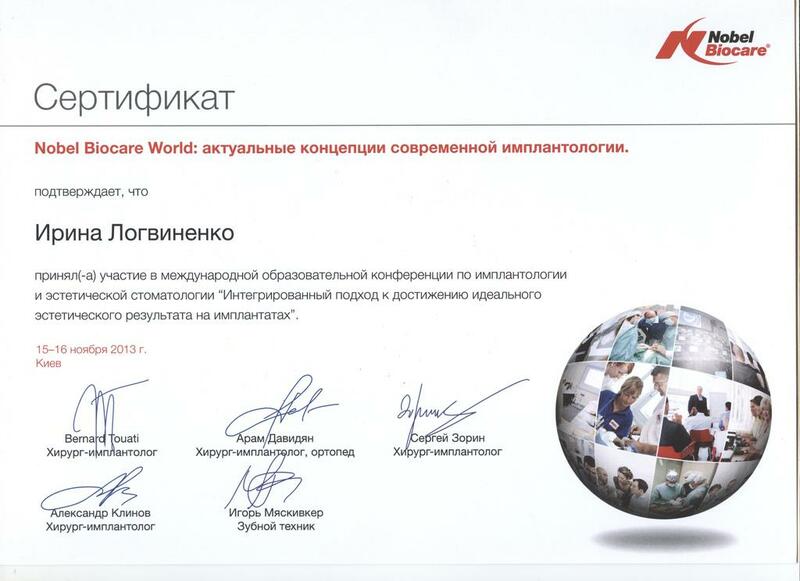 - Association of Implantology of Ukraine. Since 2007 working with the program a 3-D planning orthognathic surgery and dental implantation Simplant (Materialaise Software, Belgium). 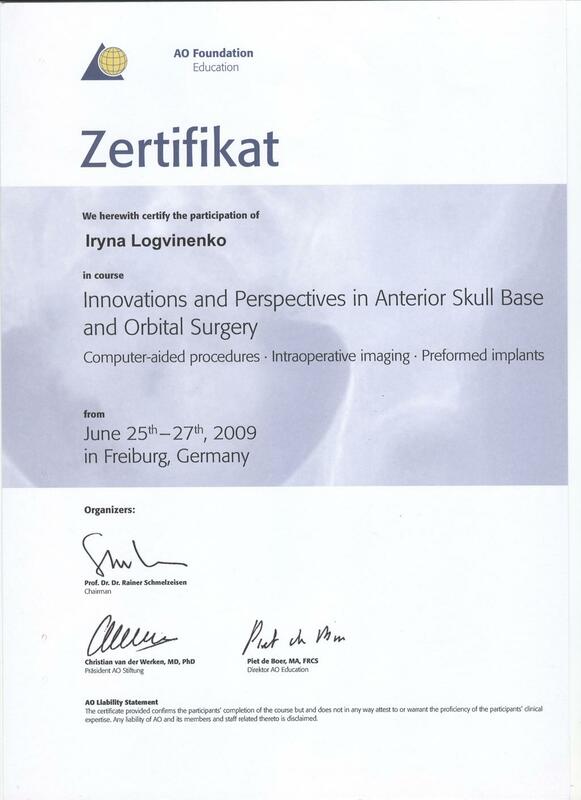 Total medical experience 16 years, doctor of higher category, the author of 29 scientific publications, 8 invention patents of Ukraine. 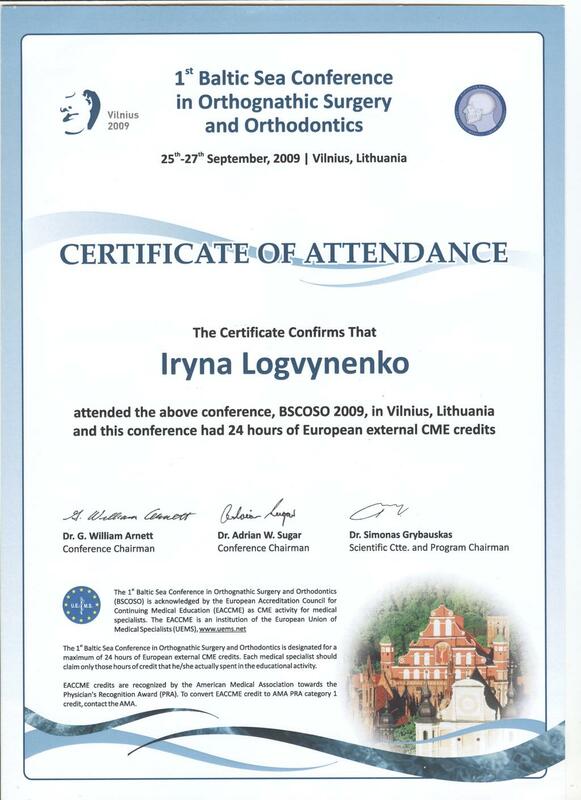 2016 - Implantology Congress BICON, Kyiv. 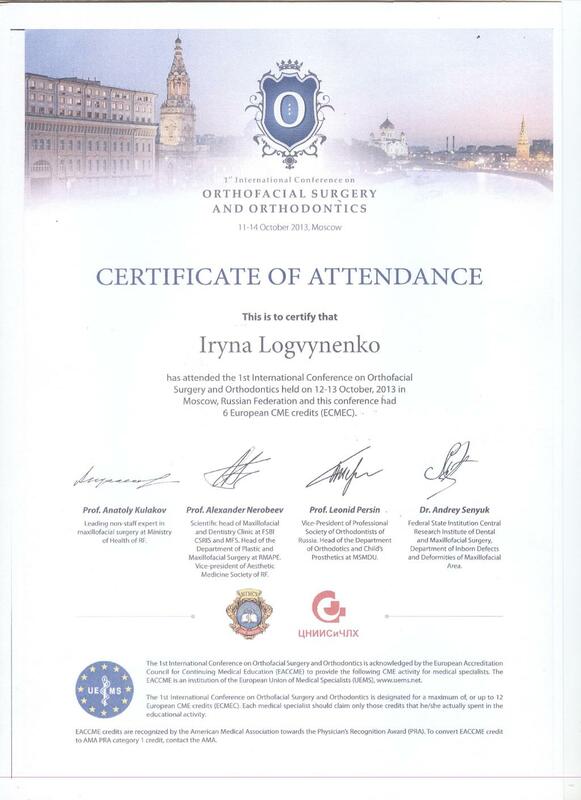 2016 - 23-rd Congress of the European Association for Cranio-Maxillo-Facial Surgery - London, United Kingdom. 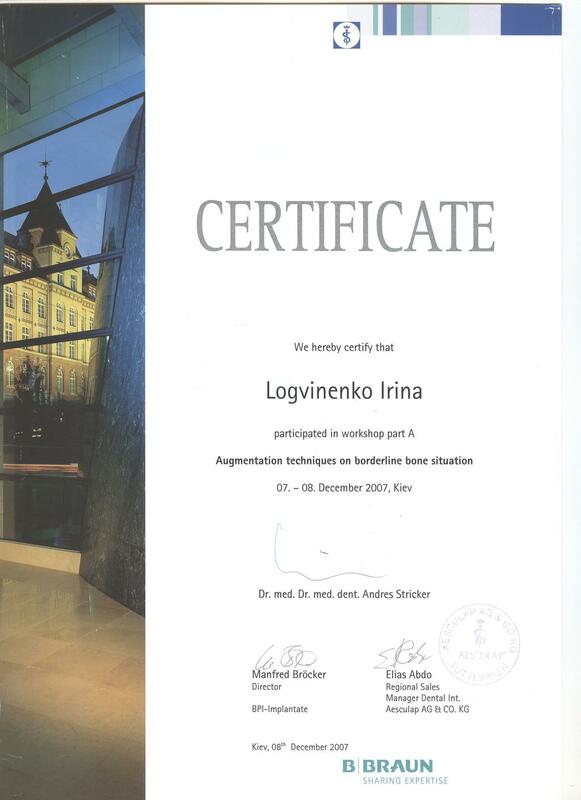 2015 - A theoretical and practical course on the use of the drug for biorevitalization of the face "Aquashine". 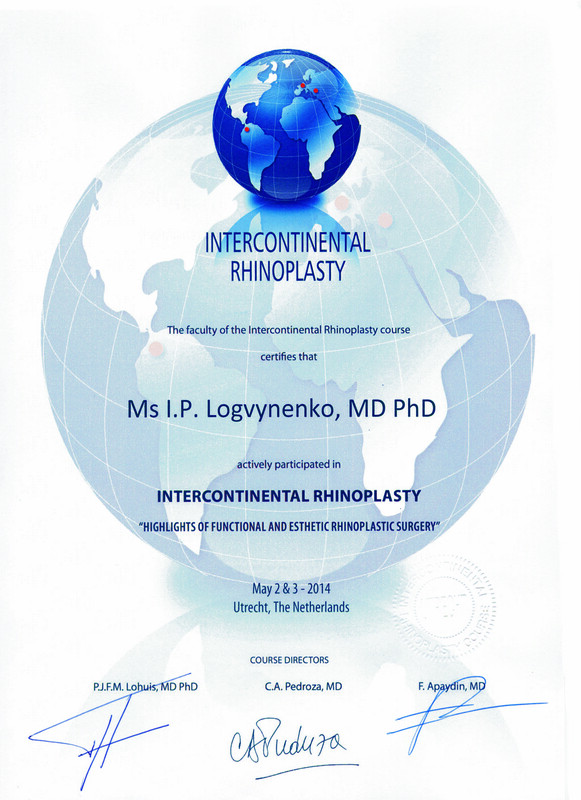 2014 - A theoretical and practical course on the use of Dysport (botulinum toxin type A) in aesthetic medicine (Kyiv, 04.09.2015). 2014 - Errors and complications when using drugs Restylane (Vallex M, Kiev). 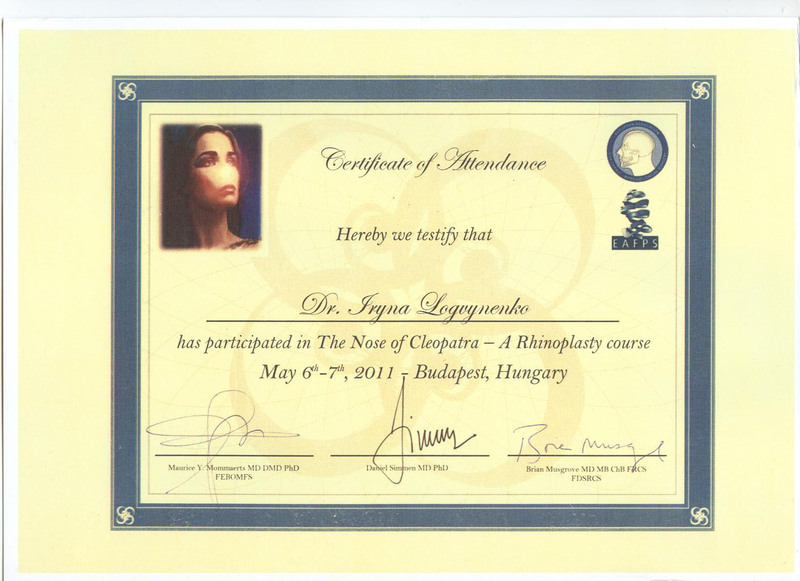 2013 - Master class on a 3-D non-surgical lifting Radiess (MERZ estetics). 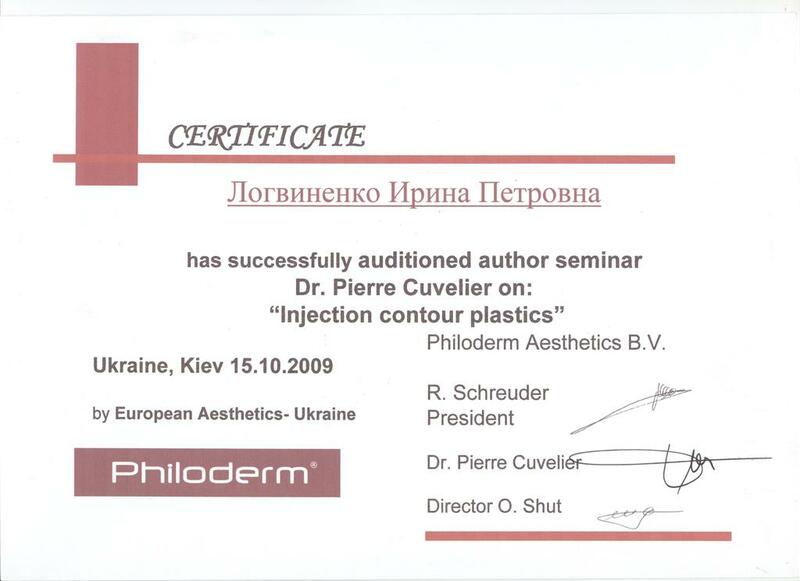 2009 - Seminar Dr. Pierre Cuvelier on "Injection countour plastics" (Philoderm Aesthetics BV - Ukraine, Kiev 15.10.2009). 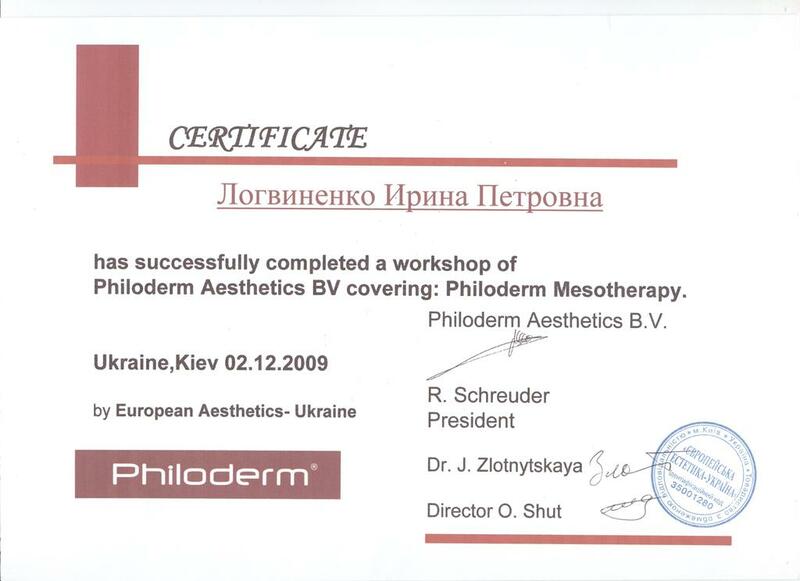 2009 - Philoderm Mesotherapy (Philoderm Aesthetics BV - Ukraine, Kiev (02.12.2009). 2008 - BTXA (Botulinum toxin type A for Therapy). Specializes in the treatment of skin diseases; conducts treatments: cleaning, massages, peels; anti-age programs. 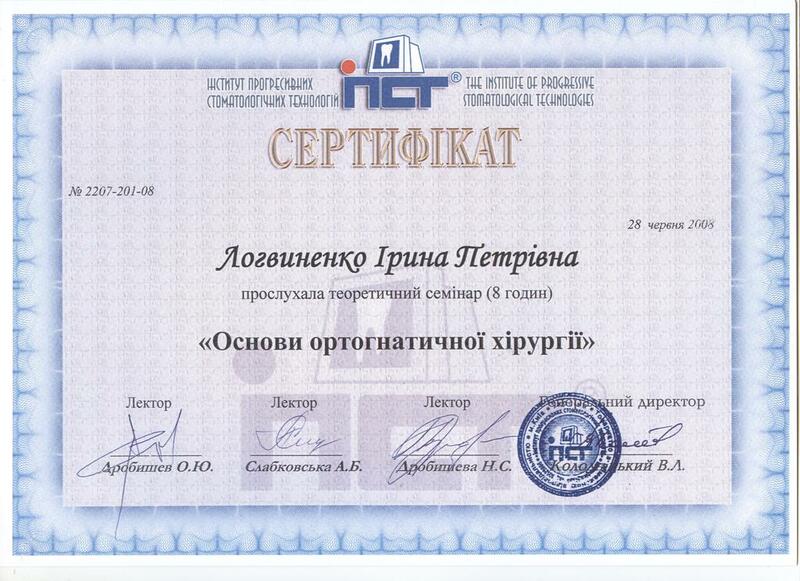 2001-2007 Vinnitsa National Medical University. Department of general family medicine. 2016 National Medical Academy of Postgraduate Education. named after P.L. Shupik. Department of dermatology. Specializes in techniques of injecting cosmetology, contour plastics. 2012 - 2017 - National Medical University named after A.A. Bogomolets. 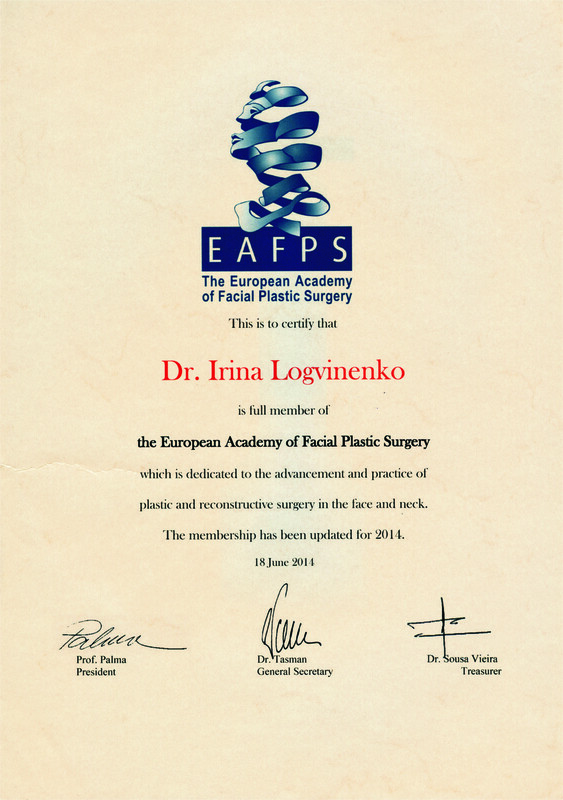 2017 - "Specialist in injection techniques: mesotherapy, biorevitalization, botulinotherapy, contour plastics, plasmolifting," Partner Plus. 2002 - 2009 the National Medical University named after Bogomolets; Department of dermatology. 2014 - Global approach to rejuvenation. Botulinum. "Dysport» vs "Botox"